Three days after the “Malavika" was hit by a barge during unloading operations at Gopalbur thereby suffering a crack in a fuel tank, three hundred workers have successfully carried out a clean-up operation at the Rushikulya beach under the supervision of Coast Guard personnel, almost about 100% of the 8 tons leaked oil is said to have been cleared from the beaches. 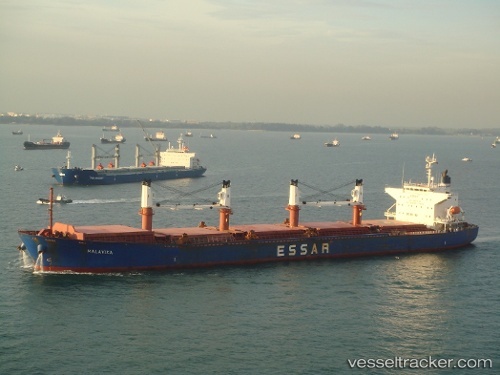 On Apr 12, 2010, the “Malavika", which had been anchored for over a week to unload coal from Indonesia, was hit by a barge which had lost control due to rough weather at Gopalbur and suffered a crack in a fuel tank. Parts of the Ganjam coast in Orissa were polluted with oil spilling out of the crack before all was cleared from the surface. The engineers immediately made efforts to transfer the oil from the damaged tank to restrict spillage. But by that time around 7,000 litres had already poured into the sea.